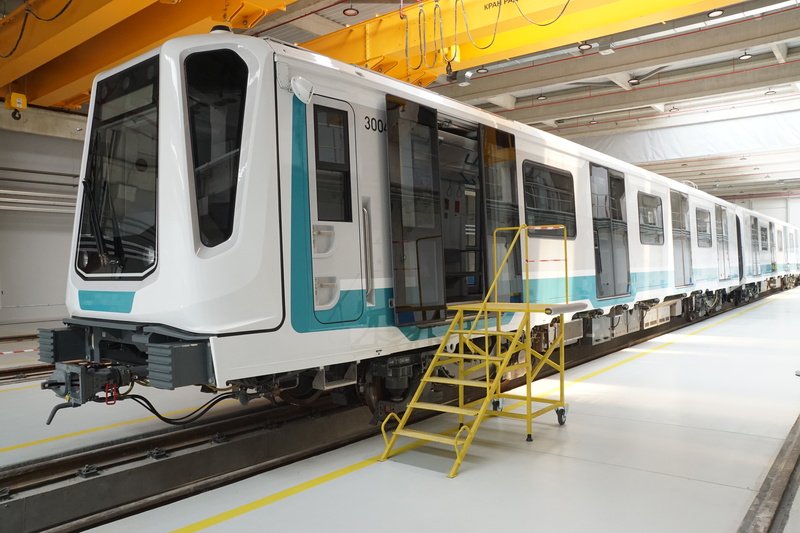 The first of 20 Inspiro metro trains has been delivered to Sofia Metro operator Metropolitan EAD (MEAD) on schedule. Siemens and Newag signed a contract with MEAD for 20 three-car trains in September 2015, with the option for an additional ten trains. The new rolling stock will operate on Line 3 of the capital city’s metro system. This 18km east-west link will feature 18 stations and is expected to open in 2019. The train has since been inspected by MEAD CEO Stoyan Bratoev and Sofia mayor Yordanka Fandakova at the Sofia Metro’s train depot.